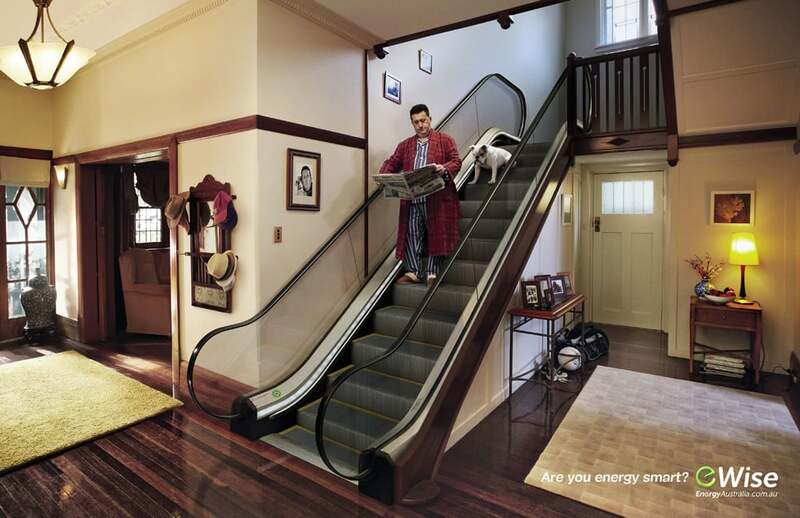 This was a major compositing job for Energy Australia brought to us by the team at Leo's. All the main elements were shot separately. The escalator was photographed in a shopping centre and seamlessly retouched into the house, replacing the stairs. The talent and dog were then added to finalise the image.